Location: Jining lies in the south of the Shandong Province, at the convergence of Shandong, Henan, Jiangsu and Anhui. It is bordered by the famous 'peony town', Heze City. Xuzhou City of Jiangsu Province lies south to the city, and it is separated by the Yellow River with Liaocheng City in the northwest corner. 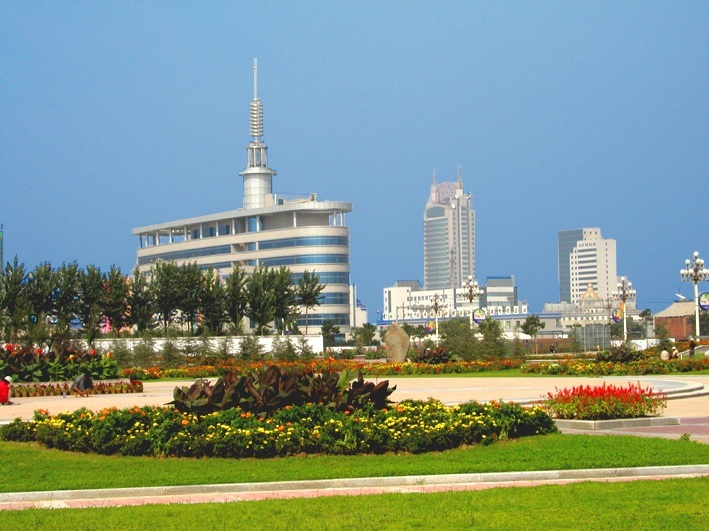 Jinan, the capital city of Shandong Province, is about 200 kilometers (124 miles) from Jining. History: Primitive villages scattered around this region five or six thousand year ago. After the unification of China by the Qin Dynasty (221BC-206BC), Rencheng County was established here. Jining, as the name of the administrative unit set up here, first appeared in the Yuan Dynasty (1271-1368). Physical Features: Jining belongs to the transition area from low mountains and hills to plains. Generally, plain and bottomland constitute the main types of the city's landform. Its eastern part is covered by mountains dotted with basins and valleys between them, and the whole terrain of Jining slopes downwards from east to west. Climatic Features: Bearing a warm temperate monsoon climate, Jining has abundant solar energy. Summer is hot and gathers much rainfall, while most days in winter are clear and chilly. The annual average temperature ranges from 13.3C to 14.1C (55.9F to 57.4F). Qufu International Confucius Cultural Festival (late September): 2007 Qufu International Confucius Cultural Festival will be held during September 20 to 28. The Temple and Cemetery of Confucius and the Confucian Family Mansion are listed in the World Heritage in 1994. Among these three sacred building, the Temple of Confucius, the representative classical architecture complex of Confucianism, is praised to be the 'Number One Temple in China'. Along with the Forbidden City and the Mountain Resort of Chengde, they are called China's three largest ancient building complexes. Qufu is a must-go place of Jining, while the three sites are the must go destinations while traveling Qufu. Yishan Mountain: a mountain resort 10 kilometers (6.2 miles) south of the Zoucheng County with spectacular natural sceneries and historical relics, especially featuring the granite pebbly landscape.